is a department which has the vision on its area, attaches importance to R&D, focuses on solution and uninterrupted service with a proactive approach, is able to give direction to its institution, works accordantly with its stakeholders and provides the information management and information technology needs of Hacettepe University Hospitals with awareness of its responsibilities at all times. 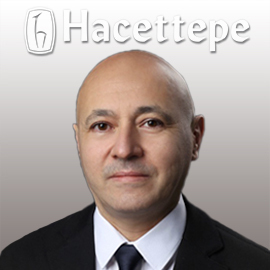 Our vision is to be a pioneer and leader of e-Health in Turkey and the world by steering the development of technologies and standards, by aiming to share information with shareholders continuously, in the right place at the right time, in the scope of an excellent service understanding open for continuous improvement. We are render service at our hospitals with a total of 21 individuals including Director, Deputy Director, Systems Engineer, Supervisor, Software Support Personnel, Technician, Operator, Assistant Operator, Secretary and Firm Personnel. •	Providing efficient and competent service to users by directing the information processing sources in the required manner. Responding the potential problems on the databases promptly and finding solutions. Establishment and management of IT security systems of our hospital. Statistical data are queried by using database query language (SQL). By this means, support is provided to departments, statistical data and scientific research, with the authorization of head physician. Incorrect operations performed by users are fixed and user support is provided in order to avoid the repetition of these mistakes. New personnel/users and stores are entered into the system. Drug management system is defined to PYXIS users, support is provided to the orders placed by physicians and nurses. Solving the problems which arise at the hospitals' network.